LEE CHILD says she's "a genius." P.D. JAMES called her "the most remarkable" of today's suspense writers. STIEG LARSSON loved her work so much, he named her in his novels. 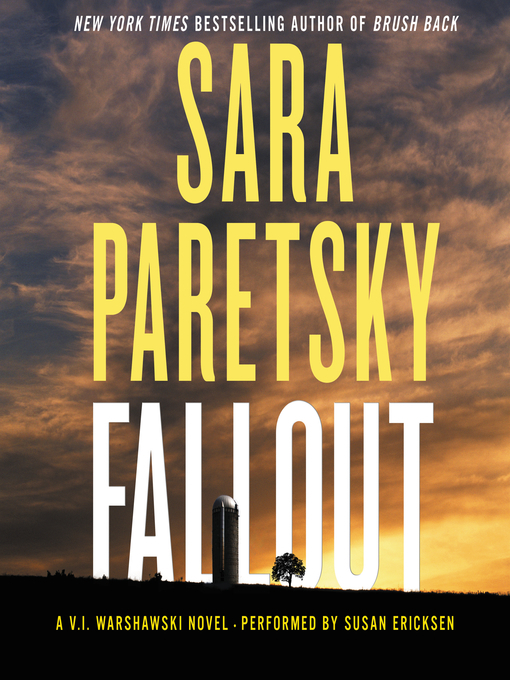 And now SARA PARETSKY returns with the most extraordinary novel of her legendary career: FALLOUT. Exciting and provocative, fiercely intelligent and witty, FALLOUT is reading at its most enjoyable and powerful.